Get on down to Paradise City! Take your collection down to the Paradise City, where the Pops rock hard and they sure look pretty! From the legendary band Guns 'N Roses, comes Axl Rose as a Pop! Vinyl Figure. 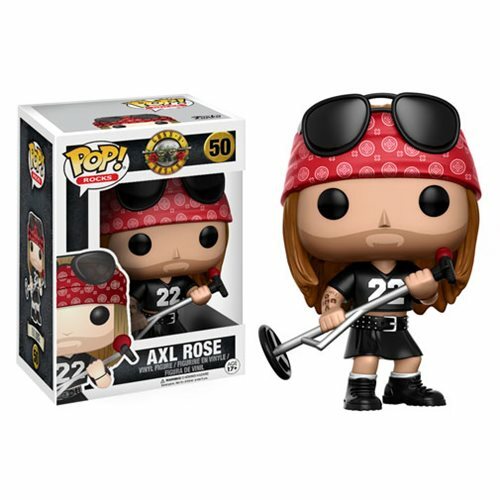 Packaged in a window display box, the Guns N' Roses Axl Rose Pop! Vinyl Figure measures approximately 3 3/4-inches tall. Ages 17 and up.